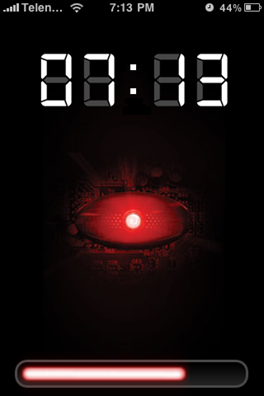 Droid Lock is a Motorola Droid inspired lock screen theme with a custom slider and clock for your iPhone. 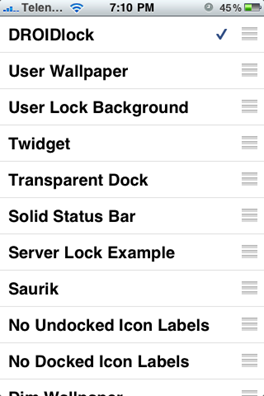 It is available in Cydia in ModMyi repository and requires a jailbroken iPhone to work. Follow the step by step instructions below to transform your iPhone or iPod touch lock screen to the one like on Motorola DROID Milestone. Step 1: You will first need to jailbreak your iPhone or iPod touch for this to work. Complete jailbreaking instructions can be found here. 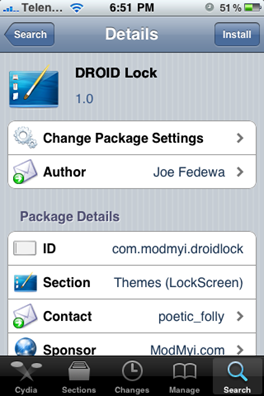 Step 3: Once WinterBoard is installed, go to Cydia again and search for “DROID Lock” and install it. 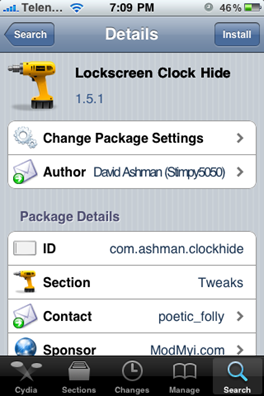 Step 4: After installing DROID Lock, go back to Cydia to install “Lockscreen Clock Hide”. This small app will hide the original iPhone clock from the lock screen. That’s just about it! Your lock screen on the iPhone should now look and feel like the one from Motorola Droid. 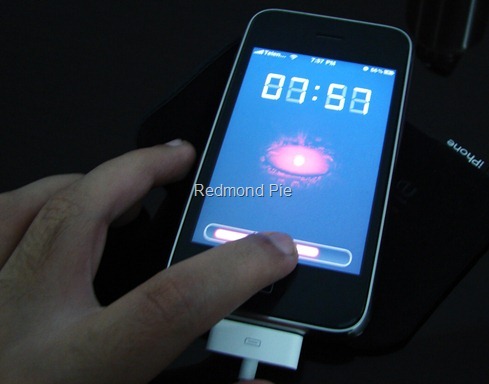 If you liked this, then you may also like to check out our HTC Sense UI theme for iPhone and iPod touch. Feel free to ask me any question regarding any problem that you may encounter when installing this theme. Make sure you check out more themes from our iPhone Themes Gallery. I want to look like the one I adore !! my ipod touch wont reboot… what do i do? how do i get the moment lock system on an as my unlock ?